The September 2017 NUBS meeting mostly happened in the front of the Perfect Brewing Supply building due to it being the only part of the store that is air conditioned. Leave it to Chicago to throw upper 80s/low 90s weather at us the day before Autumn. WINNING! : Congratulations go to to Ryan Walker and Megan Carey this month! Ryan won Gold at the 2017 Schooner Homebrew Championship out of a field of 14 beers in the Saison category. Megan was the winner of the club’s monthly “Beer of the Month/Quarter” competition with her chocolate peanut butter stout. Nicely done, peoples! Registration and recipe submission for the Commercial Batch category closes on September 30, 2017. The competition is open to current paid members of the club. Entries are $7each. A maximum of two total entries is allowed per person, one each in the Commercial Batch and Tap Room Batch categories. Beers will need to be ready for drop-off at the designated drop-off locations at a date still to be determined, most likely the last week in November. Winners will be required to participate in the brewing and cleaning of their batches at Kings & Convicts. Volunteers from the club are welcome to assist in the brewing and canning of the winning beer as well. Be sure to visit https://comp.nubsbrew.com/ for additional information. Franken Beer is coming: The club will be hosting a Franken Beer event sometime in March. Over the next few months, the club will solicit members for their favorite yeast strain, base malt, hops, and other ingredients. Each list of ingredients will form a survey to decide which of each ingredient will appear in a recipe to be brewed by the club. What style will that beer be? Guess we’ll find out. Clubs with benefits: The current board has spent a lot of time focusing on how the club brings value to all of us as members. One of the initiatives we are developing is a regular series of club sponsored events, but the discussion is on-going . What do you feel brings value to your membership? What would you like tho see the club doing in the future? Let the board know at board@nubsbrew.com. Tighthead’s Hoptoberfest: Not actually a club event, but a good opportunity to dunk Tony Bena and drink some beer this Saturday, September 23 at Tighthead Brewing from 3:00PM to 9:00PM. For further details, visit http://www.tightheadbrewing.com/hoptoberfest/. Hope For Melissa Fund Raiser: Scott Middleton will be hosting a fundraiser for the ongoing therapy and recuperation of his daughter Melissa following an auto accident last December. The fund raiser will be Friday, September 29 from 5:00PM-12:00AM-ish at the Green Town Tavern in Waukegan. Further details are available at https://tinyurl.com/y8tuxlh6. Buffalo Creek Brewing Event: The club will host a sampling, tour, and Owner/Brewer Q&A at Buffalo Creek Brewing in Long Grove on Wednesday, October 4 from 6:30PM-9:00PM. Tickets are available for $10 to members and $15 to guests. Tickets include a flight of four sample-sized beers and one pint of Buffalo Creek’s regularly priced beers at $6/pint. Sign up today at http://www.northurbanbrewingsociety.com/event/buffalo-creek-brewing-tour/. 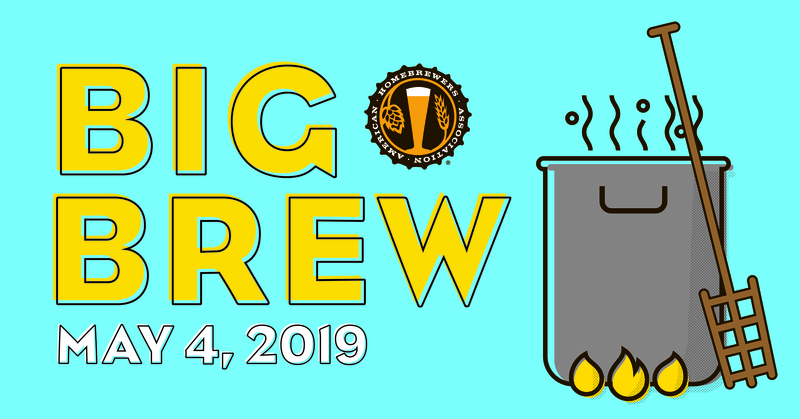 There are not one, but two Learn to Homebrew Day events coming up.The first is on Learn to Homebrew Day itself, November 4, at Perfect Brewing Supply. A second has been tentatively scheduled for November 11 or 12 at Tighthead Brewing. Stay tuned for additional details. Forbidden Root Event: The club will also be visiting Forbidden Root Restaurant & Brewery on Sunday, November 3 at 3:00PM. Details are still pending. There is a possibility that local legend Randy Mosher may be available to speak with the club that day. A Holiday Pot Luck is in the works for January 20, 2018 at Perfect Brewing Supply. Further details will be available closer to the event. Treasurer’s Report: The club has money! Thanks to all who have paid their club dues for the current operating year. For those interested, the club still has a number of shirts available for $15/shirt and club tasting glasses for $5/glass. Contact the board at board@nubsbrew.com if you are interested in purchasing these fine items. Style of the Quarter: Next month we will celebrate the season with our Q4 Beer of the Quarter, Oktoberfest! Make sure to bring your Oktoberfest/Märzen beer to be judged for our monthly “Best Beer of the Month/Quarter”. Barrels be-gone! : After much deliberation and strong indications from a majority of club members, the balance of the clubs sour barrels will be released into the wild. And there was much rejoicing. Thank you all for another great meeting!